In Argentina, it’s practically illegal to serve grilled beef without a tangy Chimichurri spread. 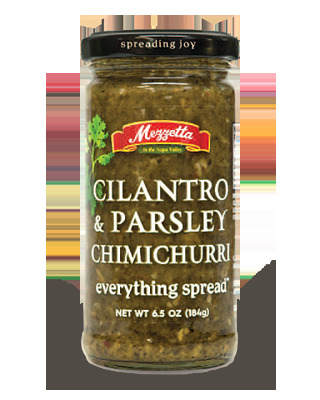 Our blend of fresh-harvested cilantro, parsley and garlic captures its burst of mild heat and bright flavor. The result is a versatile spread for grilled meats, fish, shrimp.